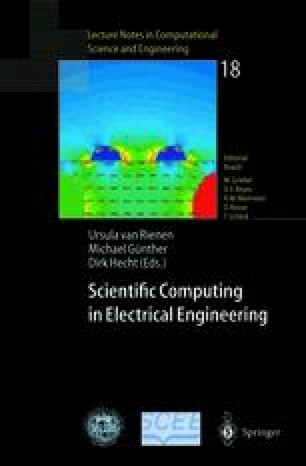 In this paper numerical algorithms for transient eddy current calculations based on the Finite Integration Technique are presented. The occuring differential-algebraic systems of equations, whose initial degeneration requires to deal with the problem of a suitable regularization, allows to successfully include nonlinear ferromagnetic material behavior using various linearization techniques as well as eddy current effects due to moving conductors. Techniques for error controlled adaptive time stepping and first results of a new algebraic multigrid solver for the linear systems of equations of the implicit time integration process are presented.